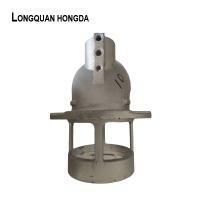 Our equipment Frequency coreless electric cooker, Roller sand mixer,Hot-box core shooter, Air plasma cutting machine, ZGS, Low pressure caster, Molding machine, Horizontal cold chamber die casting machine with computer precision, Single hook shot blasting machine, Shot blasting machine with rubber crawler type and other equipment. A: Our MOQ is 100 pieces. Q2: Do you offer sample? A: We can provide you a sample but you need to pay for it and also the freight. Q3: What is your payment term? A: 30% down payment after confirming the contract/PI and the balance before shipment/copy of Bill of Lading. Q4: What is your lead time ? A: 30 days after receipting the down payment usually. Urgent need please discuss with us to find a way out! Q5: What technics do you have? 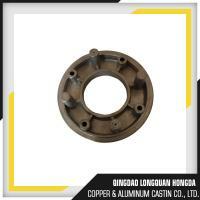 A: We can do cast iron, cast steel, cast stainless steel, forged steel, die casting and press steel parts with CNC machining. Q6: Are you a manufacturer or trader? 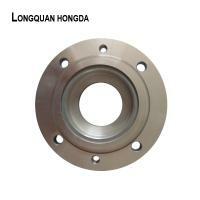 A: We as a manufacturer and all the items mentioned are made by ourselves. 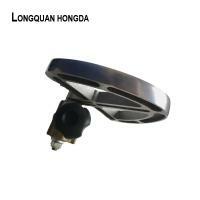 But for other items we do not have, we can search them for you from other factories. Q7: Can you make the packing and logo as customer request? A: Yes we can , but you should pay for the extra cost caused. 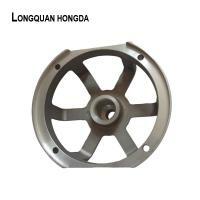 Qingdao Longquan Hongda Copper & Aluminum Casting Co., Ltd. established in 1978, is an integrated enterprise specializing in copper and aluminum product founding, mold product manufacturing and machinery processing and matching. Our company covers an area of 28,000m2, including an 8,000m2 building area. We have 160 employees and 60 technicians. We are about 1km away from New District of Kiaochow, with NO.204 National Highway nearby. It only takes 20 minutes away from Qingdao Port by car. 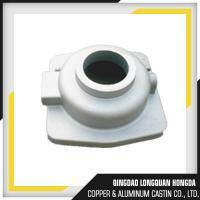 Presently, our company mainly adopts manufacturing technologies including free sand casting (free sand mold casting), free metallic casting (free steel mold casting), gravity casting, low pressure casting, and mechanism die casting. 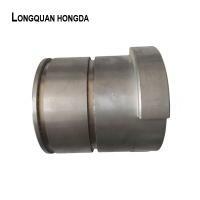 We have a complete set of equipment such as frequency coreless electric cooker, roller sand mixer, hot-box core shooter, air plasma cutting machine, ZGS, low pressure caster, molding machine, horizontal cold chamber die casting machine with computer precision, single hook shot blasting machine, shot blasting machine with rubber crawler type and other equipment. We are engaged in manufacturing various casting molds (wood type, top container, turning panel, metal type and die casting) which designed and manufactured by ourselves. 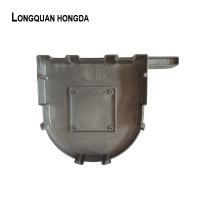 We also integrate casting and machinery processing. 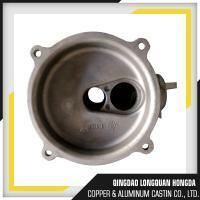 We can manufacture various rough casting pieces and finished products according to our customers' needs. Our main machinery processing equipment include all kinds of lathe, rocker drilling machine, plane milling machine, numerical lathe and CNC machining center. We have got high reputations from customers in Italy, America, the UK, Canada, Japan, and South Korea. Since the establishment of our company, we have focused on development and anthropocentric management, vigorously promoting modern enterprise management system. 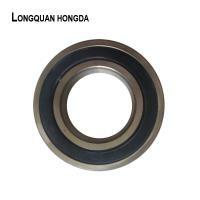 Therefore, we have established rigor organization system and quality management system. Meanwhile, we abide by ISO9001 international quality system standard strictly, and strengthen management to ensure our product quality. Our company will hold the concept of "guidance by good credit, survival based on high quality and development based on benefit". We warmly welcome customers from at home and abroad to visit us!